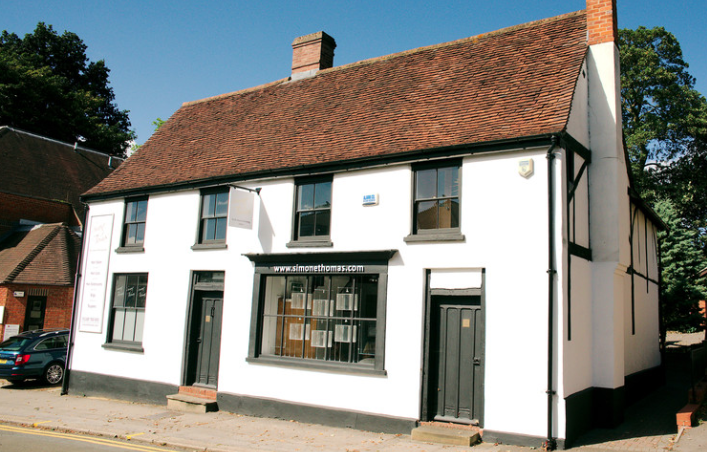 Simone Thomas is a multi-award winning hair loss treatment clinic and hair salon in Wokingham. We are proud to have award winning, talented stylists and hair loss specialists experienced in hair loss and scalp conditions working with us at our hairdressers and 3 hair loss clinics. Since opening our doors over four years ago, we have become renowned for our passion and creativity in hairdressing and hair loss treatments. We have been featured on Channel 4’s Body Shockers, ITV and ITVBe and are regularly featured in the local and national media. Together with our experienced and dedicated team of hair directors, stylists, colour and hair loss specialists we provide the very best in customer care. Hairdressing is not just about technique. It’s about listening and advising our clients before producing stunning results you’ll love. Complete with luxurious seating and large gilded mirrors, all of our salons have a beautiful vintage feel to make your visit an experience you’ll never forget. Katherine was extremely helpful and informative and really knew everything about wigs and hair loss. Will definitely use and recommend for wig advice and cutting. Hello there! Thank you for your kind review. We are so pleased to hear you felt comfortable during your consultation with us. We are looking forward to seeing you again at our Simone Thomas hair salon in Wokingham. I was really impressed- Emily was friendly and made me feel very at ease. She gave me good advice on how best to cut my hair and I am very happy with the result. This was the first time I’ve been to Simone Thomas and I would definitely return and recommend. Hello Katherine, thank you for your 5 star review! We are pleased you were impressed with our service and salon. We will pass on your compliments to Emily. We look forward to seeing you again at our Simone Thomas hairdressers in Wokingham. I just want to say Simone Thomas Salon is a great find. Their professionalism, a warm welcoming atmosphere and their high quality products only enhances your visit even more. Special thanks to Kathrine and Kizzey, both of whom make you feel special and do a great job. Hello Kaylor, thank you for your review. We are happy to hear you found our salon relaxing with high quality service. We look forward to seeing you again at our Simone Thomas hairdressers in Wokingham. My hair looks great. Kathryn did exactly as I asked her and I feel like a new woman. Thank you for writing us a review, Cathie. WE are so pleased Kathryn did as you asked, and you feel renewed! We look forward to seeing you again at our Simone Thomas hair salon in Wokingham. Was made to feel very welcome and no really knowing what i wanted millie was really helpful. Really looking forward to getting my hair done. Hi Dawn, thank you for your kind review. We are happy to hear Millie was helpful and we look forward to seeing you again at our Simone Thomas hairdressers in Wokingham. Helen cut and styled my hair after an awful hair cut from somewhere else. Helen is friendly and took the time to listen to my requirements and is an excellent hairdresser. The salon is gorgeous and the staff are friendly and polite and made me feel welcome and comfortable. Thank you so much Helen and the staff I enjoyed my first experience in the salon and will definitely be returning. Helen done a fantastic job of re cutting and re styling after a very bad cut from somewhere else. Helen talks through what she is going to do and is an excellent hairdresser. Helen is friendly and takes the time to listen to your requirements. The salon in gorgeous and the staff are polite and friendly making you feel welcome and comfortable. Thank you so much Helen and for the staff I enjoyed my first experience and will definitely be returning. Thank you for taking the time to writes us a five star review, Sharon! We are so pleased you enjoyed your first experience with us. We shall pass on your compliments to Helen. Please visit us again soon at our Simone Thomas hairdressers in Wokingham. Thank you for writing us a review, Jo. We are glad to hear you are happy with your haircut. We look forward to seeing you and you daughter again soon at our Simone Thomas hair salon in Wokingham. A really lovely afternoon-very well looked after-great hair colour and blow dry-I feel uplifted,spoilt and truly pampered.Thank you!!! Hi Ash, thank you for your kind review! We are happy to know you felt uplifted after your hair colouring and blow dry. Please pop back and visit us again soon at our Simone Thomas hairdressers in Wokingham. Once again Helen has done a wonderful job in my hair. Hello Joanna, thank you for your lovely review. We are pleased to hear Helen did a wonderful job on your hair, we will pass on your compliments. We look forward to seeing you again soon at our Simone Thomas hairdressers in Wokingham. Fabulous colour & cut again. A true professional- thank you so much, Helen!! Hi Glynis, thank you for giving us a 5 star review! We shall pass on your kind words to Helen. Many thanks from all of us at our Simone Thomas hairdressers in Wokingham. I was pretty nervous before my appointment as I’ve been to loads of other salons and never left 100% happy. Millie completely understood what I was after and transformed my original brown colour to a lovely golden blonde. The salon has such a nice vibe to it and the price is really reasonable for what you get. You must visit the Wokingham salon. Thank you writing us such a glowing review, Kellyanne! We are so pleased to hear you are happy with your new golden blonde hair colour. We look forward to seeing you again at our Simone Thomas hair salon in Wokingham. Hi Karen, thank you for leaving us such a kind review! We will pass on your lovely compliments to Helen and our receptionist. Please pop back and visit us again soon at our Simone Thomas hairdressers in Wokingham. As soon as I stepped in any stress completely disappeared. The atmosphere is totally zen. A truly beautiful salon. The best I've ever seen The receptionist was so welcoming and Millie my stylist was amazing. I felt totally at ease and comfortable. Thank you for your five star review, Caly! We are happy to know you enjoyed the zen atmosphere of our salon and we shall pass on your compliments to Millie. Many thanks from all of us at our Simone Thomas hairdressers in Wokingham.